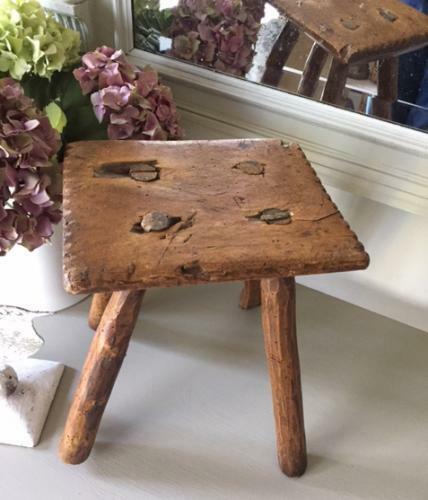 Antique Primitive Country Stool with tree legs. 0ne has a wonderful bend in it!. The top has had some wear (see pics) and decorative chip carved edges. Ideal foot stool etc.